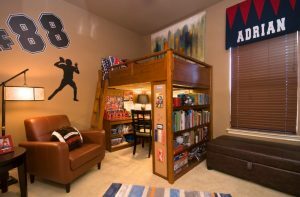 Some people consider creating an unusual ceiling for a specific room at their home. They know that giving special treatment for the ceiling can change or emphasize the room style. A ceiling with unique designs or patterns can decorate the room on its way. Your guests will be mesmerized by the unique ceiling in your living room and will be amazed by it. 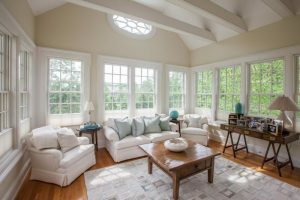 There are many unique and beautiful ceilings you can apply in your home, especially in a living room or dining room where everyone can take a look at it. 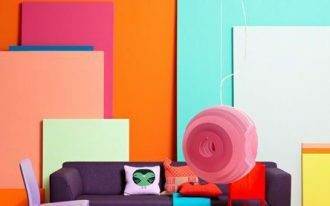 The following are some unique ceiling ideas that will inspire you in designing a fabulous interior design. 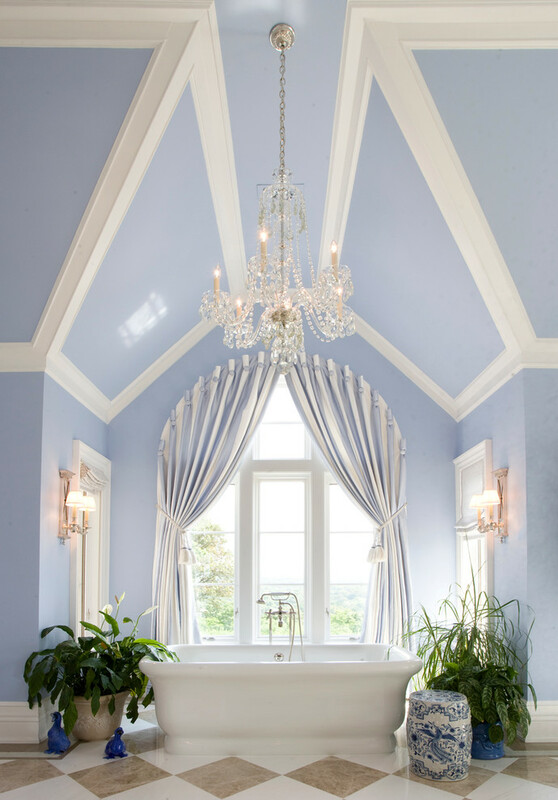 A pretty purple ceiling with unique vaulted design and white trim can brighten and beautify the acrylic freestanding tub space. This space is also filled with silk curtains, wall sconces, indoor plants, and white framed wall mirror in a mirrored style. A custom fabricated, the textured ceiling can enhance the acoustics and integrates of the randomized lighting pattern, while it also reflects the light into the living room space. 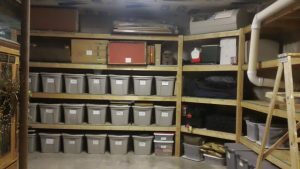 Choose the dark color for the center ceiling. 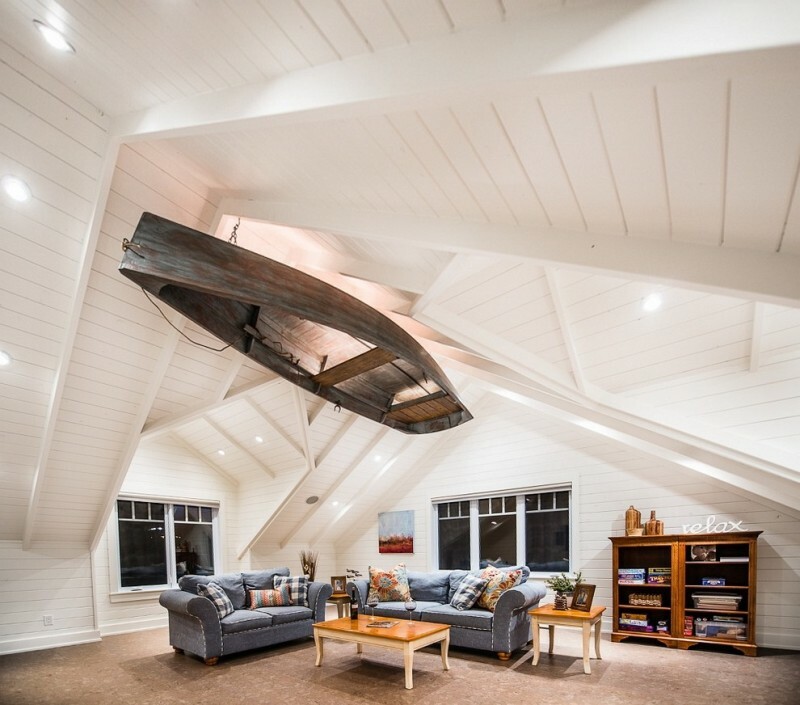 Your guests will be amazed by the floating boat over the seating space. Its designs concept adds drama to the white ceiling. You will absolutely love it. A unique ceiling will be more fabulous by adding a unique chandelier. 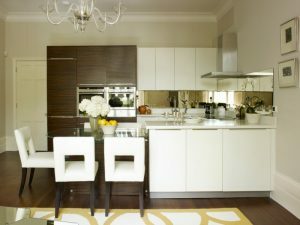 This dining space has the coffered ceiling in white with a gorgeous chandelier on it. 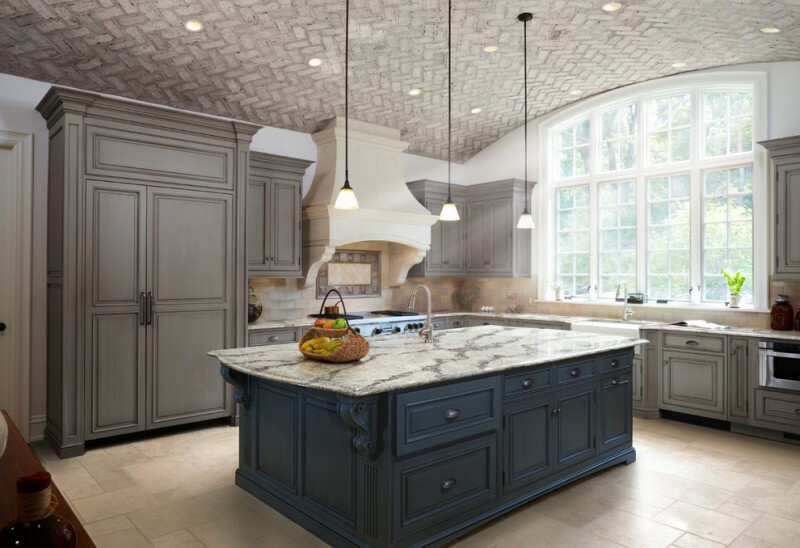 This farmhouse kitchen features a blue island, grey cabinets, white marble countertop, pendant lamps, and a unique ceiling. The full brick ceiling in grey color creates a nice pattern on the ceiling. This ceiling is really suitable for a farmhouse style kitchen. 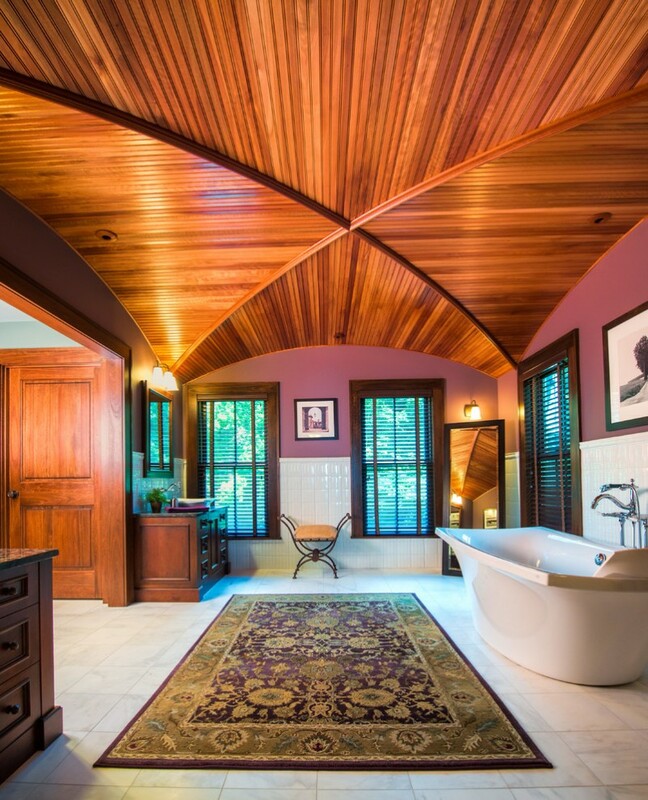 The curved wood ceiling in this bathroom has become a classic touch for a chic space. The architecture and design of the ceiling with wooden material would warm the space up. 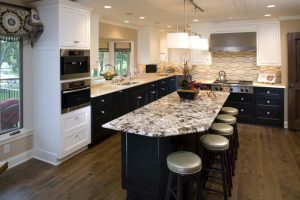 A modern ceiling look can be the most favorite design when it comes to a unique ceiling choice. 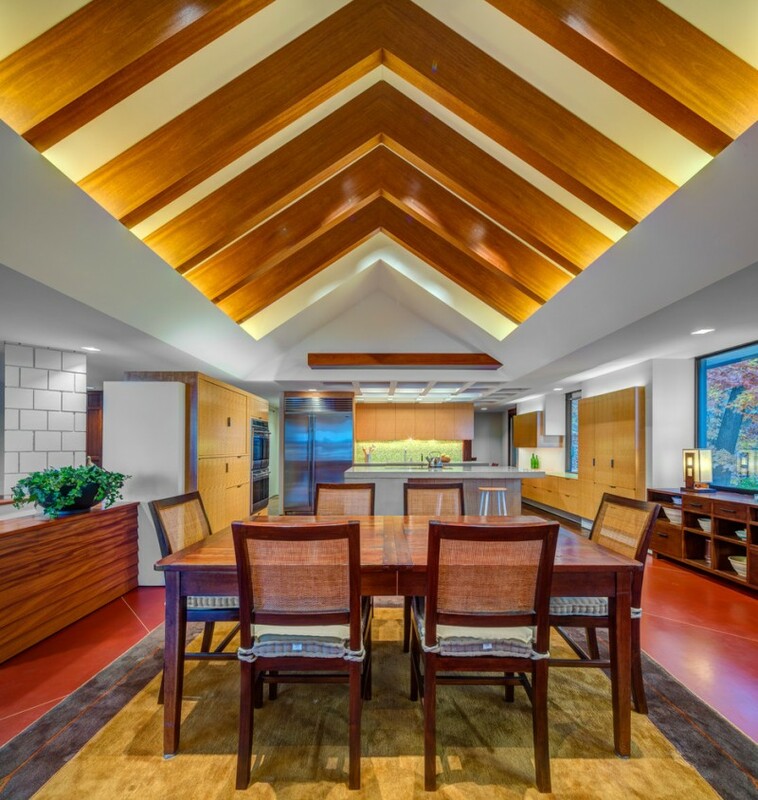 The beams here are in stained mahogany veneer plywood boxes that are sleeved over an existing truss system to create a tray ceiling with wooden beams within a cathedral ceiling. It shows a modern combination of box beams of wood, lighting, and finishing. 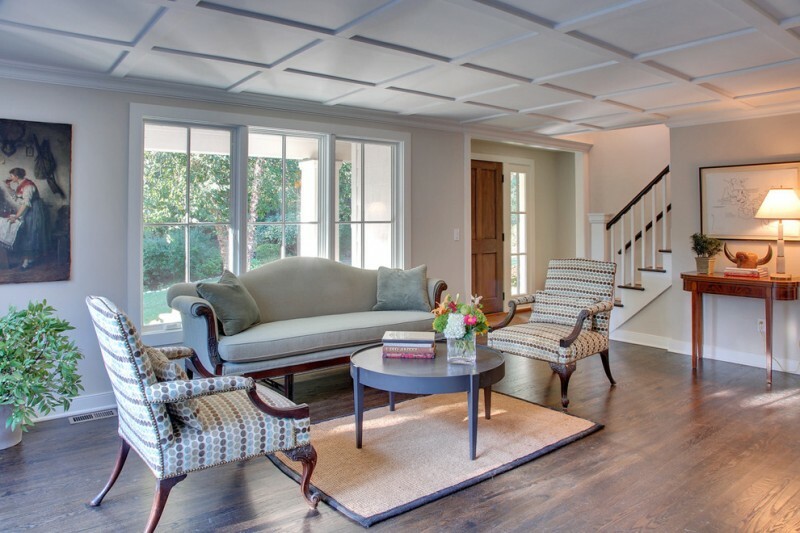 Create a unique ceiling by getting a simple treatment. Because the seating chairs have got some patterns, it is better to create a ceiling with a simple and minimalist pattern if you want to decorate it. This unique ceiling is a masterpiece. It has a great design which emphasizes the chic decoration in this home library. 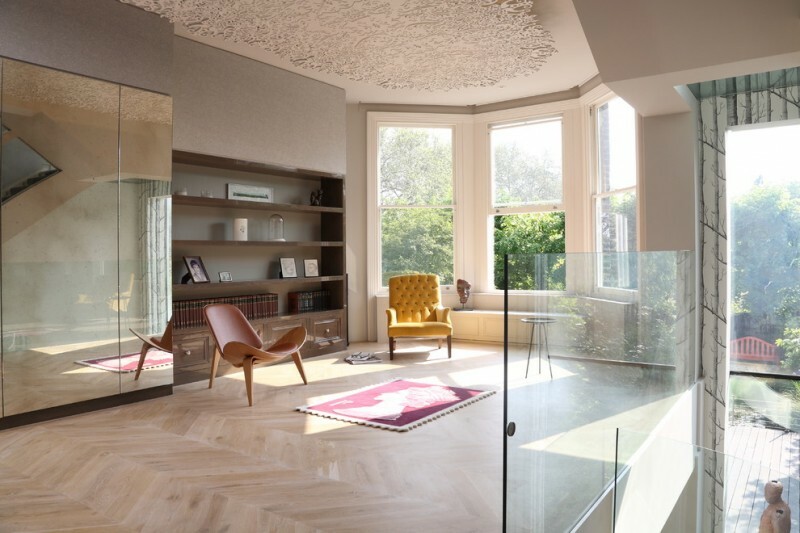 It is a bespoke ceiling system which is suspended from the ceiling. 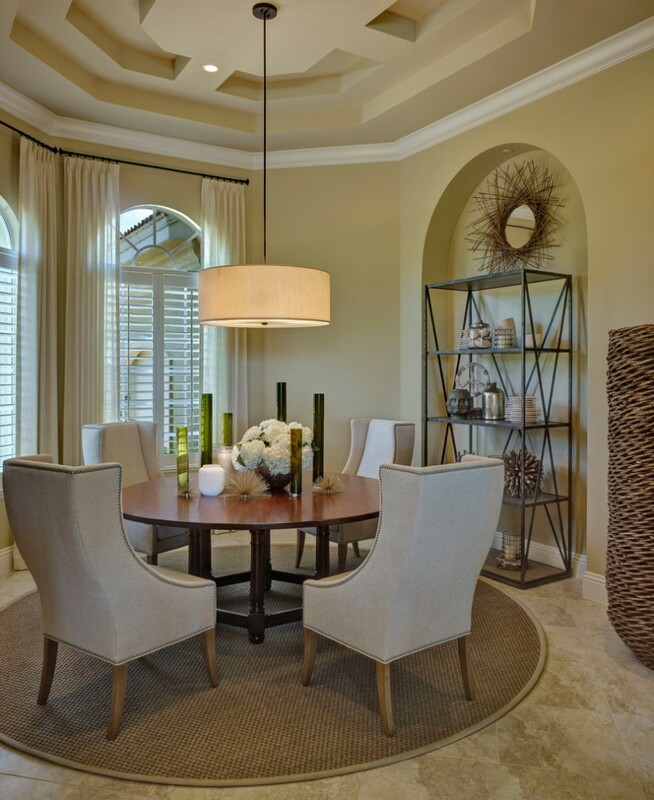 A round ceiling is made to increase this dining room shape. It can be a statement with the ceiling design. A pendant lamp with long wire is hung on it.